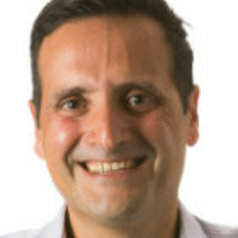 A/Prof Bill Nimo (Vasilios Nimorakiotakis) MB BS FACEM FACRRM, is a medical doctor who has specialised in Emergency Medicine. He has a special interest in toxinology which is a subspecialty in medicine that looks at how humans are affected by all animals that bite and sting. He is Deputy Director at Epworth Hospital Richmond Emergency Department, an honorary role at the Australian Venom Research Unit (AVRU), the university of Melbourne and works as a retrieval specialist in Queensland with Retrieval Services Queensland (RSQ). His main interest however is being a husband and father of three awesome children, Isabell, Luca and Noah.